Rights Managed, or RM for short, is a type of license to use stock photos, that can be bought at a stock photography agency, like Getty Images. This license type is sold under a one-time-use basis. It allows the buyer to use the photo in a certain specific way, and in that way only. Let's answer quickly what are Rights Managed Images? Rights Managed Images (or RM) are called photos or graphics which are licensed under a limited usage license called Rights-Managed. This means that you, as the customer, will negotiate the usage of the images and the time and the place with the stock agency and they will give you a Rights Managed license for this particular image you want to use. 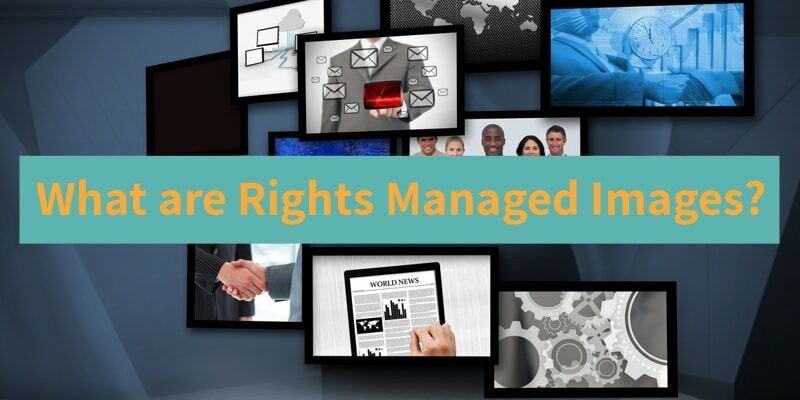 Learn more about how Rights Manage Images work and where you can buy them below. How do Rights Managed License Work? And of course, you must always remember to clarify whether your intended use is for commercial purposes, in which case the photo needs to be model and property released with the appropiate documents from all people and private property depicted in the image, or for editorial uses, in which case the releases are not necessary but other restrictions apply. In base of those details, the license is customised to grant the required rights to use the image in the way you want. This also determinates the price of the license, that is normally higher than that of Royalty Free images, depending on the rights you need to include (exclusivity rights usually come with higher fees). But the license you buy is to use the photo in that consigned way, and that way only. Any modifications to the intended use, or any completely different use that you want to make of the photo, will need a new license (and therefore to pay other fees). Where to Buy Rights Managed Images? Microstock agencies normally work only with Royalty Free images, but there's many stock photography agencies that work mainly with RM licenses. Among them, Getty Images is a great choice, and the most popular option for many buyers. This agency has been leading in stock photography industry for over 20 years, and they have a huge and varied collection of high quality stock photos covering all topics and styles imaginable. Their prestige puts them amongst the Best Stock Photo Sites around. With millions of creative images for commercial use and a huge selection of editorial images including celebrity photos from all kinds of environments, in Getty Images you likely will find the photos you need. Plus, lots of the photos in their collection are exclusive to their library, which means they are the only ones distributing them, and that you have higher chances of getting exclusive rights to use a photo that you select from their catalog. To buy photos at Getty Images, you can register here. If you would like to explore alternatives to get cheaper photos, check Getty Images Ultrapacks. This custom license has some clear advantages for some buyer needs. Exclusive rights – If you can get them, it means that you, and only you, are able to use the stock photo for the duration of your license (that you can also estipulate). This keeps competition from using the same image and diluting your advertising and marketing strategy and efforts, and helps give your brand or project a higher value with imagery that cannot be found elsewhere. Exclusive rights are not always available, but are a great add if you can get them. Larger print run and distribution – With RM license you can get much larger limit of copies and distribution rights than the ones included in the pre-set Royalty Free license. This is very useful for some wide-reach marketing campaigns, large audience tv or film projects, and many other uses. Usage history – Some stock agencies keep a detailed record of the ways their photos have been used in the past. And sometimes, in addition to the rights to use the photo, they let you see said photo's usage history. This way you get to know when and where the photo was used, and this can be a great resource to refine your intended use and make sure you will make the best out of the photo in your project. For this and other features, RM images are recommended mostly for high-visibility usages, and uses when the image will be closely associated to a product or a service: to assure the exclusivity of the photo is key to grant the success of the visual association of the photo with the product or service, and to avoid conflicts with possible competitors trying to copy your marketing campaign, for example. Although higher-priced than other options (particularly, than Royalty Free), RM images certainly have their value, and in certain cases can be the best choice to ensure the success of the project in which they will be used.